I'm in the process of publishing my own numerological correspondences/tables which you will find as subs of this page. My perspective is that we all have an inherent understanding of the concept of number # (9? ), as they are more of a root essence than say letters or characters, and we've gotten more specific of course with the use of glyphs. We also have an understanding/feeling/association with each number that can be communicated without any words (when we understand numerology, along with a basic understanding of the law of vibration). We can use the mathematics and ignore the number play, or we can do both. We can also use numerology for healing types like reiki and other practices (both via thought of #, but also solfeggio tones, etc. We can in fact use # as main/root level correspondences (name/value pairs and vectors/pointers) to anything in "reality" for the purpose of any type of spell/school/class. yes healing. but also divination, invocation, evocation, concecration, chaos sorcery, sanctification, purification, you name it and it doesn't matter whether you're a shaman or a magician or a priest or an elementalist or a mentalist or a stock broker for that matter, because we do it regardless. mentally. In my opinion, it's a good idea to learn a little bit about it if only to understand how to do it a bit better (if you don't already of course) (using the tools we already have, whatever that particular thing is we like to do even... but it's art. we co-create constantly, pack our own lunch, "attract" via "law of" (law is also love) say it how you will, there isn't any debating it these days, nor has there even been, but information is spreading so incredibly rapidly & i'd guess doubling (which i guess based on having a basic understanding of vortex math in union with the enneagram and other systems of 9). So please know that i think it might be a good plan for us to preserve important knowledge sets, as some sets are more important than others. It's also not to be taken lightly actually and the reason is that our minds are very powerful. Your mind. YES... i'm speaking to YOU. In addition, there are signs of children being born these days with uncanny mental abilities, and mental facilities though can degrate over time, can also be healed. If that doesn't say "i move on/advance/increase/level up (two times even?! 🙂 !? )/get closer to Root/Source/Goddess/God/yourChoiceOfTheseAndOrAny, while at the same time winking at you, then well... idk. What do you see in it? Now know that if it was something "negative", know that i too probably saw that/similar at one point, if not worse... So we see both poles, and chose the best one... but we must see both in order to do so... for every polarity... for the one that can scare us the most at times past even. C polarity. When we can, we can better resolve disputes quicker & easier, and we can resolve these disputes both with others and within ourselves. Then we can see broader/more of the spectrum and can in turn make better choices for All. i'm torn to lead you in the direction of magic/magick/miracle (for you, if you don't know already) but for many reasons that are all logical. i also can't help but render at least one warning, before sharing something that happened to me... something unexpected and unbelievable and horrible, as it was to the same extent [and now more so] beautiful and blissful. So here it is, if you were to dive into certain texts, or more specifically certain grimoires, know that there exist some books / knowledge / grimoires that are more powerful (when used in conjunction with natural law) and those that are more ancient and are, well viewing it using your standard matrix/computer model, they are closer to the "operating system" (firm/hardware even!) which means they deliver data/move faster and can allow us to gain higher levels of important knowledge data/info faster and that they contain both love (and/or fear, but who would choose such a thing? we flip the switch on that more and more these days yes?) and law that we are currently bound to though choose to strive to transcend. So, (again and as always, for those that don't already know), i could mention 2 names. Well of what you ask? 2 names of the God/Goddess, or of Angels, ArchAngels or of Elementals, or what? Sometimes it's wise to keep the lid on the genie bottle. We at least need to maintain the control to be able to do so when we need to. Now, when dealing with forces that are "new" to us, we should ask, do we have the will to do that? " "of course of course... what possible temptations exist beyond those i don't know?" many... We must define our boundaries first and know that we control/are higher than our thoughts/forms, while remaining humble. This is the most basic paradox from my view. So are we or aren't we? That choice is yours, but know i'm no fool (though will be so again), and i'm directly telling you, not for money, nor for anything other than 1) to help the All and 2) to better myself and to 3) learn from you... though many prefer to hide/not share unfortunately. i see this shifting for the better, though we could hurry the process up a tad for ALL right? Did you note how selfish "i" can be @ times still? It's a process to be taken seriously and contains a major paradox. A paradigm shift may be required depending on the person, one they may not, or yet may, if only one day (eve?) appreciate. Right so yes, some powerful grimoires... spiritual texts... spellbooks... mythologies, and know that these are both very real and very not real... very true and very false... paradoxical in nature / myths that is... very 0 and very 1 combined, but also perhaps recombined and manipulated/reformed into something brighter, have evolved over time (ever heard "thoughts are things?") so some of these are more powerful then others. Perhaps pause for a refresh on correspondence/vectors/force/amplitude/direction but they also have been spanning the spectrums of infinite timespace so large and so long that they may as well not even exist for us @ times, at least not to those that don't look, but also so small and so short they fit inside us, and are more than willing to come out and play at times... some play nice. others play rough. some have qualities of 0, others of 1... of 2 ... 3 ... 4 ... though all deriving from 1... or should i say from 0? null? Well i don't say... you do, and that's all that matters really unless some silly one were to have basic/mostly-objective/as most agree with blatant negative intent, which most if not all, inside themselves, do not ever unless threatened, and do their best even under those circumferenstances. Most love. Dare never say the contrary in my pre-sense, else you may encounter the red lunar dragon. And cheers! and namaste to you concurrently please know! So that's the warning/disclaimer and this is all of course for fun & entertainment @ the same ... time. And i must reflect and decide whether or not i should even provide more specifics. i'd recommend the Kyballion (oh, and Holy Bible, Bhagavad Gita, etc are grimiores too of course, and we may should start and some perhaps just stay there...) For now though, more data related could be found on the gematria page. 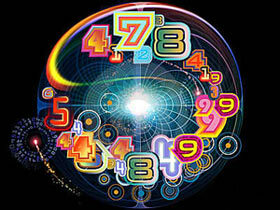 There are several types of numerology that have been established from different philosophers throughout time. gematria is one of those types. 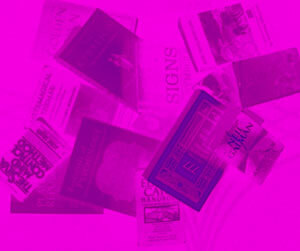 This entry was posted in numerology and tagged #, correspondence, divination, number, quality, quantity by Z30 AJF. Bookmark the permalink.